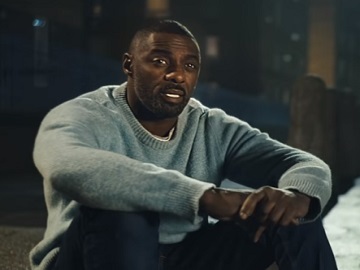 Squarespace is sitting out the Super Bowl this year, but it has launched a new campaign, featuring Idris Elba. The actor, who is also a DJ and fashion designer, stars in a film titled “Dream It” and directed by Spike Jonze, in which he lives out his dreams. The video opens with Elba sitting on a sidewalk and lip-syncing to the lyrics of “Que Sera Sera,” performed by Karishva Ghai and Kaos Choir for Deaf Awareness. The following scenes feature him as a professional fighter, a fashion designer, an actor, a participant at a baking class, and as an astronaut in training. He actually became all of the above and Squarespace “helped him build a website worthy of his dreams,” according to the company. Elba uses Squarespace to promote his fashion line and DJ performances. “Dream it. Make it. Squarespace. Make a website worthy of your dreams” onscreen lines read at the end of the commercial. In an interview for Squarespace, he revealed that he was a “big daydreamer” as a child, his main dream being to become a radio presenter or be a DJ in the music industry. He also has a racing license, drives rallies and broke a land-speed record. Asked about what made him to do this particular campaign with Squarespace, Elba answered he uses tools to do the stuff he does and that he learns new ways to put himself out there in new areas. “I like that Squarespace is a tool you can use to expand your thoughts, expand your creativity, expand your business. I’d love it if people saw this and looked deeper into the tools that they can use to be great,” he also said. Among Squarespace’s customers there also are Keanu Reeves, actor and co-founder of Arch Motorcycle, who starred in the company’s Super Bowl LII commercial, women’s ready-to-wear and accessories brand HIRAETH, founded by Rooney Mara with partners Sara Schloat and Chrys Wong, who use Squarespace to make their collections stand out online, photographer Adrienne Raquel, who uses Squarespace to share her portfolio, musician Leon Bridges, who uses Squarespace to share his music with the world, actor John Malkowich, who also used Squarespace to turn a side-passion, fashion design, into a thriving business, and others.